MIREC WEEK, is the leading expo and congress in the clean and renewable energy sector since 2011 in Mexico. It will be held May 20-22 at the WTC in Mexico City. ENERGY MEXICO is the first event in the country that integrates all sectors of the energy industry through an international conference and first level exhibition floor, offering attendees access to new operational, financial and technological solutions, as well as the possibility of generating new business oportunities. 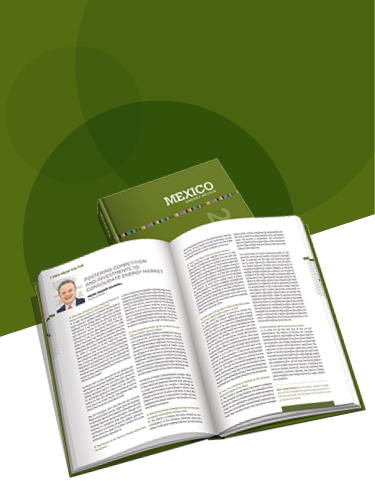 ENERGY MEXICO is the leading congress of the energy sector in Mexico because it brings together in one place the voices that define the energy agenda in Mexico and the world, together with the main companies in the sector at a global level. The 3rd Latin America Energy Forum will address the needs of Latin America's evolving energy sector, exploring the evolution of the region’s energy mix and the role of gas in supporting the increased use of nonconventional renewables. "Solar Asset Management Mexico & Central America" is Mexico's first conference that combines the development, finance and optimal operation of solar PV plants and portfolios. The event will bring together 200+ stakeholders involved in developing bankable PV projects and concerned in securing long-term optimal operations. It will provide a 360-degrees solar market overview while providing delegates with excellent networking and matchmaking opportunities to ensure maximum technical and financial performance over the entire life cycle of solar PV plants. ENERGYNET, INTERNATIONAL GAS UNION (IGU) and ARPEL will bring the Latin America & Caribbean Gas Conference & Exhibition to Mexico City from 8th – 10th October 2018.